This project kind of took me by surprise. I went to Spotlight, even though I have some Paintbox cotton yarn in the post from Love Crochet. When will that arrive I wonder? I thought it would be here by now! Is it coming from England? So there I was in Spotlight, looking for something else, stickers I think, and fabric, and some Lion brand kitchen cotton, none of which I bought. In fact I only found some nice fabric at the end, once the boys had become truly shop crazed and we had to go. 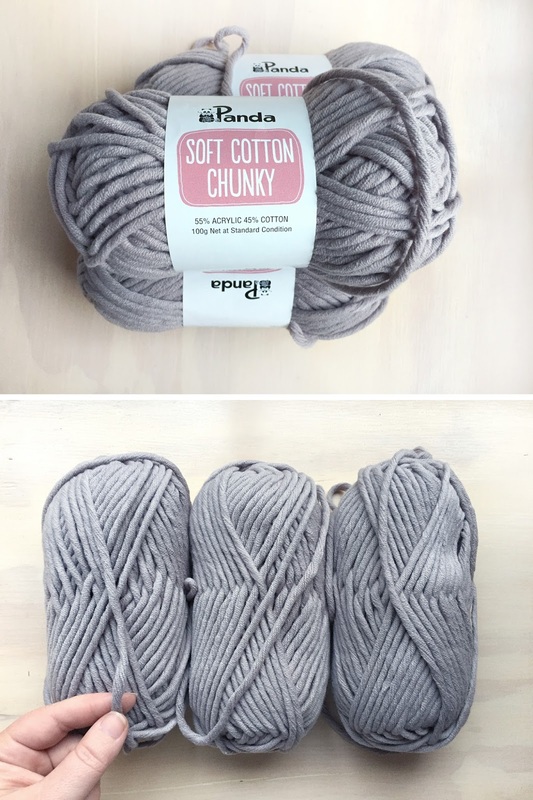 And this big soft chunky cotton acrylic stuff was looking at me, and it was so nice and squishy, and I was thinking of those big knitting needles I have now. 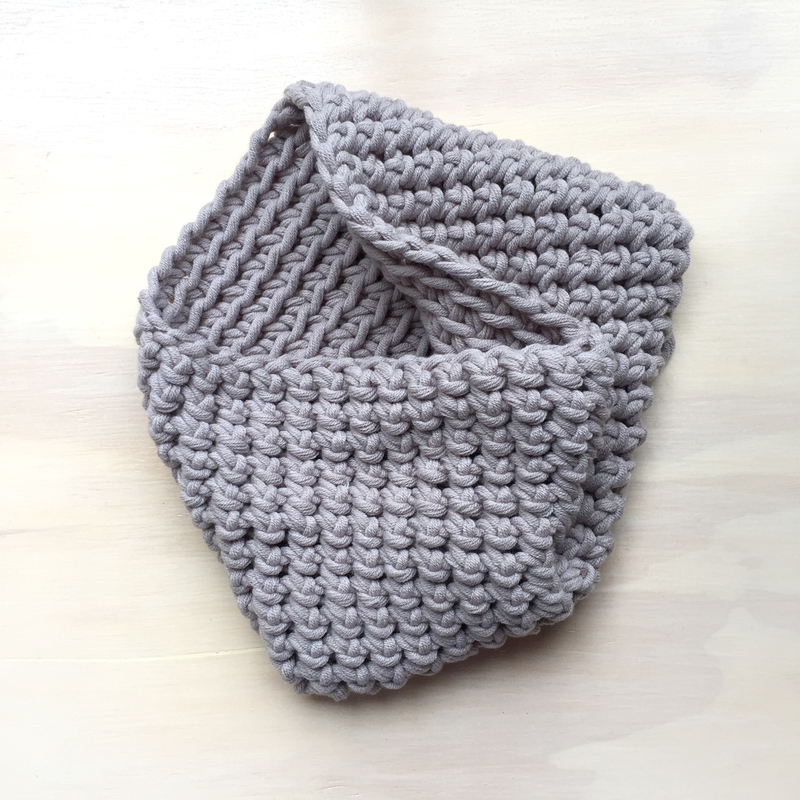 Except then a project popped into my head, the Mr needs a cowl! He likes to sleep in them when it's chilly or if he is sick. So I grabbed three balls, having no idea if that was enough or too much or how to crochet a cowl. Something I'd like to do is learn how to read a crochet pattern, but I suspect I'll need help. Maybe it's a lack of concentration so far, but they just seem like gobbledegook at the moment. I started googling for a pattern, and realised I didn't even know what most stitches look like or how to do them, so I took the first part "make 45 chain stitches" and decided I'd figure the rest out. 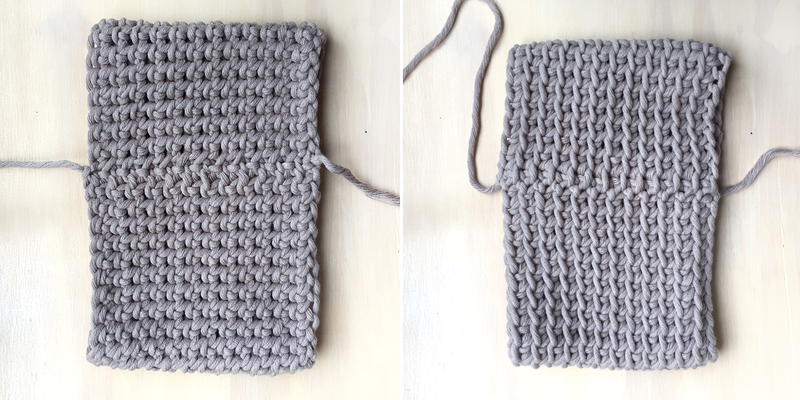 I made 45 chain stitches, then looked up how to do a double crochet stitch (UK) on Shelley Husband's Youtube channel, very handy for a crochet beginner like me. 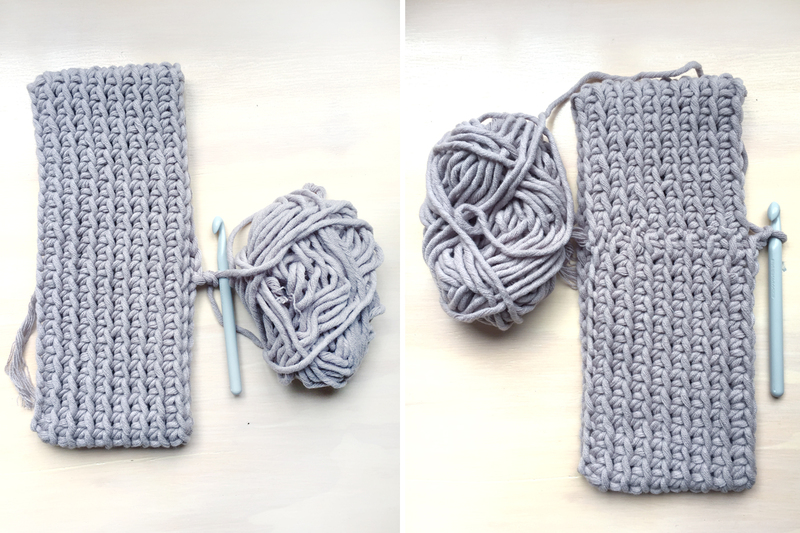 When it came time to do the second round of stitches I thought about the way you do chain stitches for the first part of a cluster when you are starting a new round on a granny square, and decided to go up two chain stitches. Something the more clever pants crocheters out there may notice is that I managed to increase stitches in my first few rounds. I also ran out of yarn a bit too early, I would have liked 12 rows and didn't quite make it. Below are the front and back shots when I'd completed 8 rows. Oh and I'm hooking only into the back of the stitch, so on one side of the fabric I get a definite line pattern. See? So much to learn. I decided I liked that so when I frogged the whole thing and started again, I kept doing it that way. The second attempt I used only 40 stitches, but made them a little looser, my first attempt had a very stiff edge. I managed to not increase stitches this time, and got 12 rows out of the one ball. And so much quicker the second time. I didn't think I'd get this done before Christmas, and I made it twice in less than 24 hours. So darn happy with that! Those pics show the 'join', even though it's not really a join, as it was continuous, from both sides of the fabric. MUCH neater the second time! The line definitely jigs up though doesn't it? Ends weaved in and it is nice and snug on Mr, and if I didn't mind things close around my neck pretty cosy on me too! I do have two balls left, so I'm thinking of upscaling it for me. Looser and wider. Or I could just make the Mr two more so he doesn't complain about not being able to find one? Maybe do one in all cotton for me? And speaking of Christmas, I'm thoroughly over school lunch boxes. Only 3 weeks to go. If you make another would you do a different stitch, just to try to master another one? Good question... I'd like to try doing the stitch but going under both bits of the stitch not just the back... and yes, I would like to do a different stitch I think. Maybe I'll do two more but with different stitches, just for practice!